We’ve all hear the saying “you are what you eat.” Well it’s true – especially when it comes to beauty. Whole grains found in oats, quinoa and brown rice are rich in essential B vitamins which can help improve the texture and quality of your hair. They also contain silica, which can minimize hair breakage, and zinc, an important hair nutrient that prevents hair loss. To keep your skin hydrated and wrinkle free, it’s important to get enough omega-3 fatty acids. These essential nutrients will keep your skin hydrated and supple. They’ll also boost your skin’s collagen production – which will prevent fine lines and wrinkles in the long run. Nuts and seeds are not only tasty – they’re also a great source of vitamin E, which can help your skin stay hydrated longer. Walnuts and flaxseeds (unsalted) will give you the best results because they’re also a great source of omega-3 fatty acids. Puffy under eye bags are often caused by excess fluid retention. To fix this problem, you should decrease your sodium intake and increase your potassium intake. 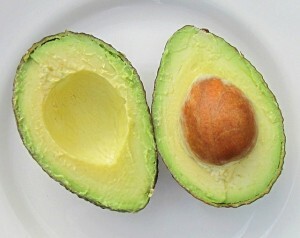 Avocados are rich in potassium and healthy fatty acids which can also reduce skin inflammation. Egg yolks are rich in vitamin B7, zinc, iron and protein – all of which are essential to strong, healthy nails. Eating egg yolk rich foods like omelettes on a regular basis is a great way to reduce brittleness and nail abnormalities.